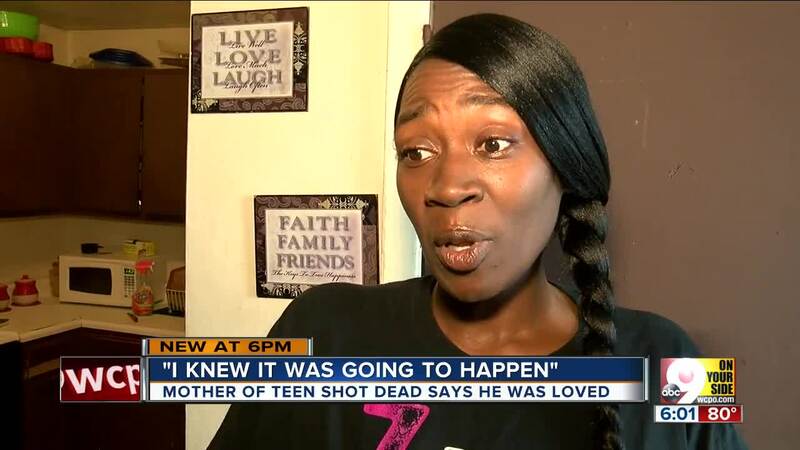 CINCINNATI -- Kneeling on the pavement Tuesday night with a lighter in one hand and a tea light in the other, Ebony Wynn still half-hoped for a phone call announcing her 14-year-old stepson was alive. That he was with his mother. That the last 24 hours, during which she'd learned he was shot to death on Vine Street near his Mount Auburn home, were a mistake. "It's like a movie," she said. "I haven't gotten the call yet." Death by gunshot wasn't for Surrell Gaines, his father said. Rodrick Gaines wanted his son, whose cheeks were still round with baby fat when police discovered his body on Vine Street, to go to college. He had been preparing for his first year at Hughes STEM High School, which described him as "fun-loving, kind" and a positive influence on other students in a news release the day he died. However, the boy's mother, Tammy Smith, said she "knew it was going to happen." Gaines fell in with a dangerous crowd as he moved from elementary to middle school, she said, and she had "pleaded" with her son to make different decisions. "I told him what I saw coming and he didn't listen, so this is the result of not listening," Smith said. Although she had been privately preparing for the worst-case scenario, she added: "I know my baby was loved, and I loved him -- to death." No suspects had been arrested by Tuesday night. 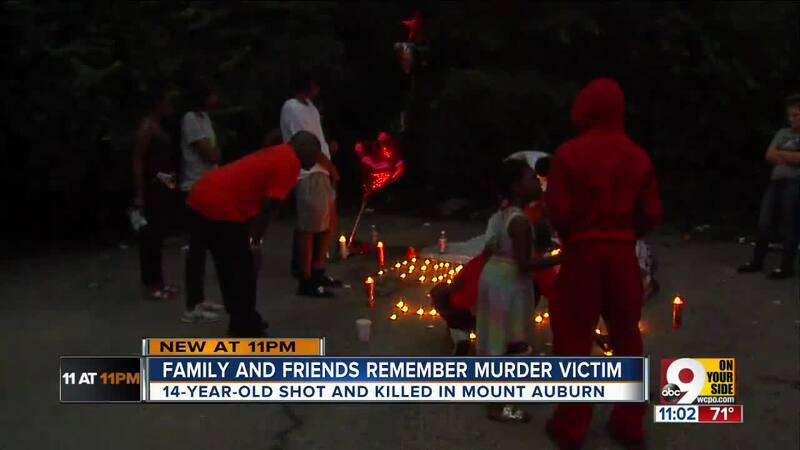 As Rodrick Gaines, Wynn and friends from the community arranged tea lights to read RIP and clutched fistfuls of heart-shaped mylar balloons at the site of Surrell's death, he said he hoped the person who pulled the trigger would take responsibility. "I wish y'all would turn yourselves in," Gaines said. "I feel sorry for y'all families because y'all might be at a loss or whatever. It's just two families losing, at the end of the day." Cincinnati has had four fewer homicides this year than by this time in 2017, but there were several over the span of just a few days late last week and early this week. 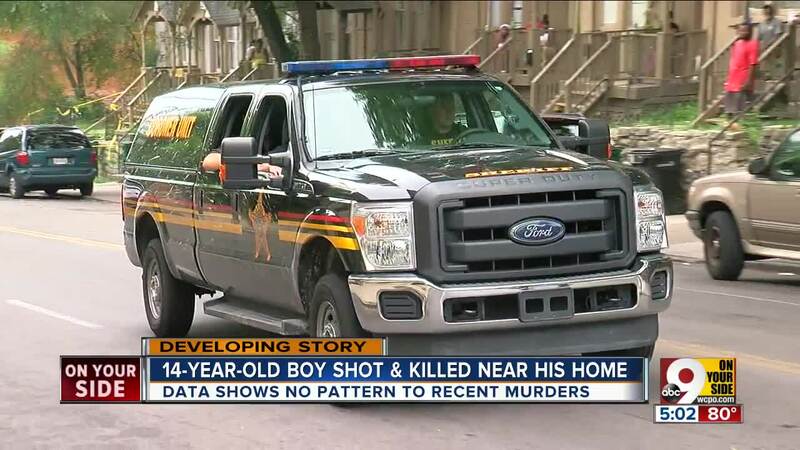 Data show no apparent pattern, with the deaths happening sporadically in different police districts. 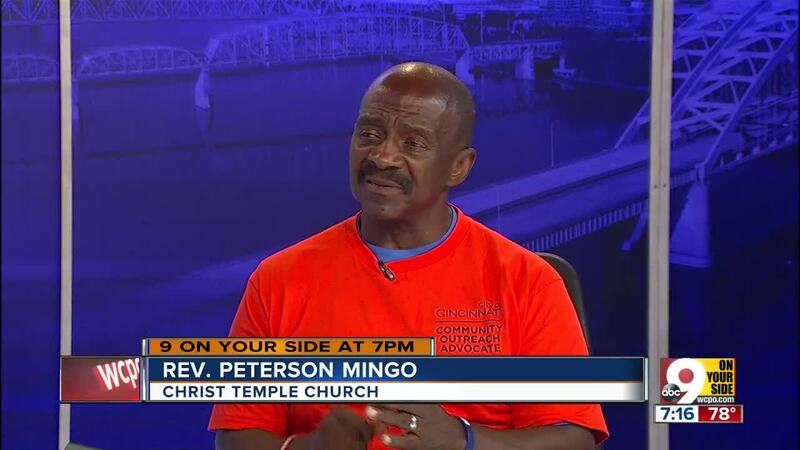 Although there may be clusters -- like when four people were killed in the same area of Over-the-Rhine in six days -- street outreach advocate Peterson Mingo says they're not related. He goes to the scene of homicides all around the city to comfort families and discourage further violence. "It's very hard to predict what's going to happen in situations where there's nothing in common except the shooting," Mingo said. "Plain and simple." Anyone with information about Gaines' death should call Crime Stoppers at 513-352-3040.